I always feel when the strawberries are ready at our local farms it signifies summer is here. The strawberries are sweet & delicious at both Manoff Farms and None Such Farms. We ate the first two quarts I brought home in less than 24 hours. Most just popped in our mouths naked of anything but their juicy goodness. The rest were strategically smashed up in bowls and topped with our favorite vanilla yogurt from Siggi’s. Holy Cow! That’s a good breakfast! I brought home the next two quarts and decided that I needed to do something more constructive with them. Something that I could share with everyone that would feel like summer. 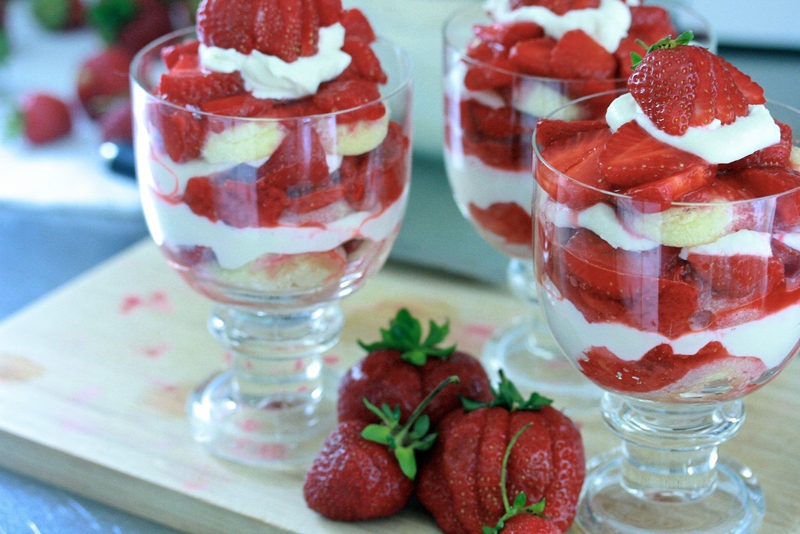 These individual strawberry trifles scream summer to me. So easy to make with so few ingredients, they’re perfect if you’re entertaining or just because they’re awesome! 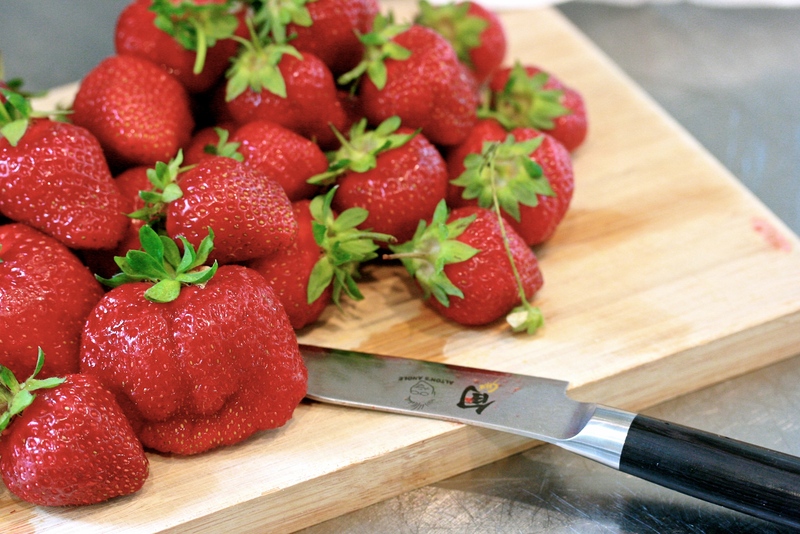 In a medium bowl, place one cup of whole strawberries and mash them with the back of a fork. Slice remaining strawberries and add to the bowl. 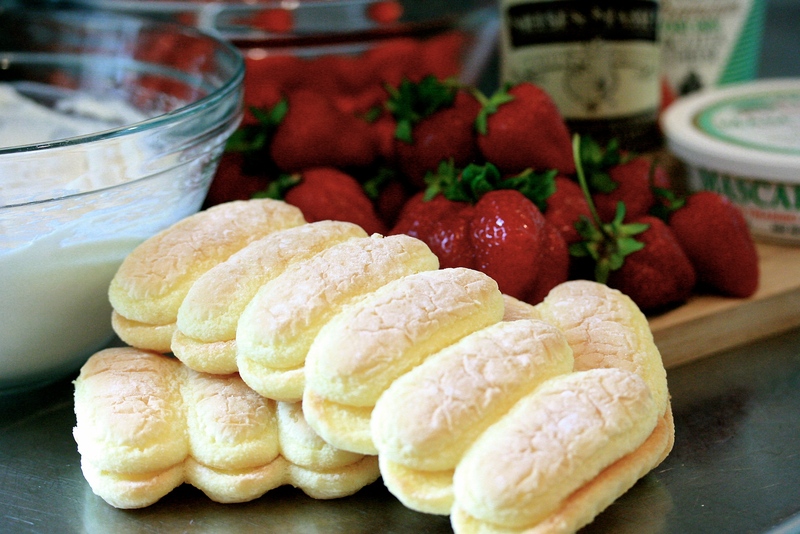 Sprinkle 2 teaspoons of sugar over the strawberries, stir and set aside for about 20-30 minutes. 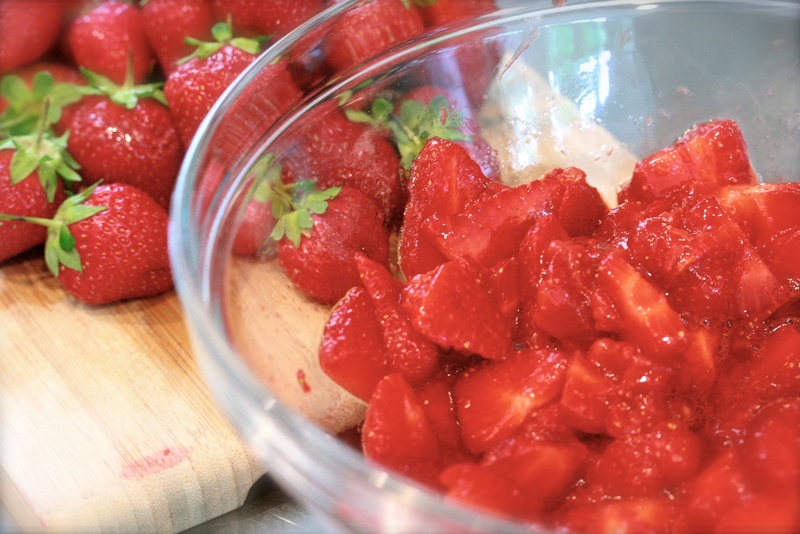 The strawberries will macerate in the sugar and release all their juices. 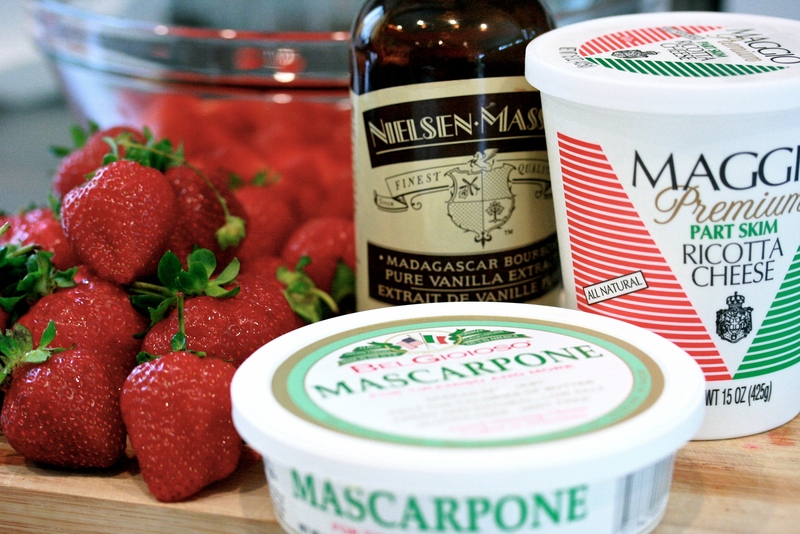 In another bowl, stir together the mascarpone, ricotta, vanilla and the remaining 2 tablespoons of sugar. Stir until well combined and set aside. 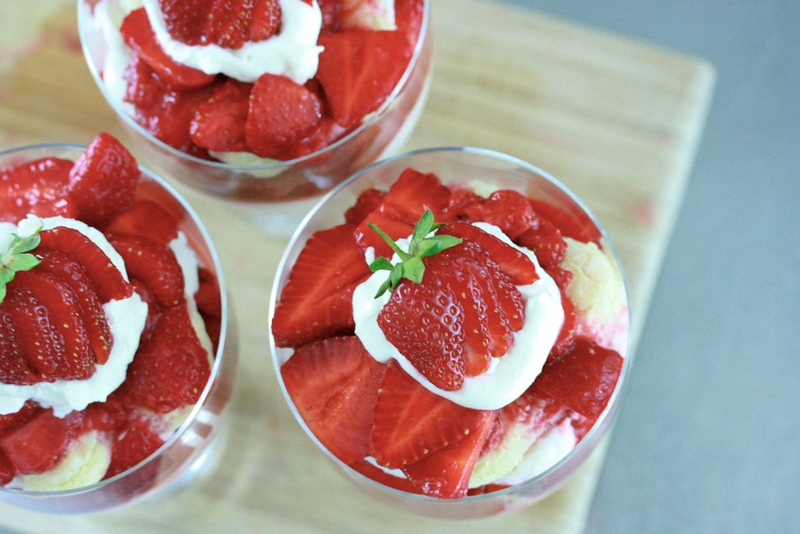 Select a pretty glass to make your trifles and just begin layering the ingredients starting with a couple of ladyfingers in the bottom of the glass, top with the strawberries, then a dollop of the mascarpone cream and repeat. Once the glass is full, top with a very small dollop of the cream and place a sliced strawberry on top – or not… I just did that because it looked so pretty. 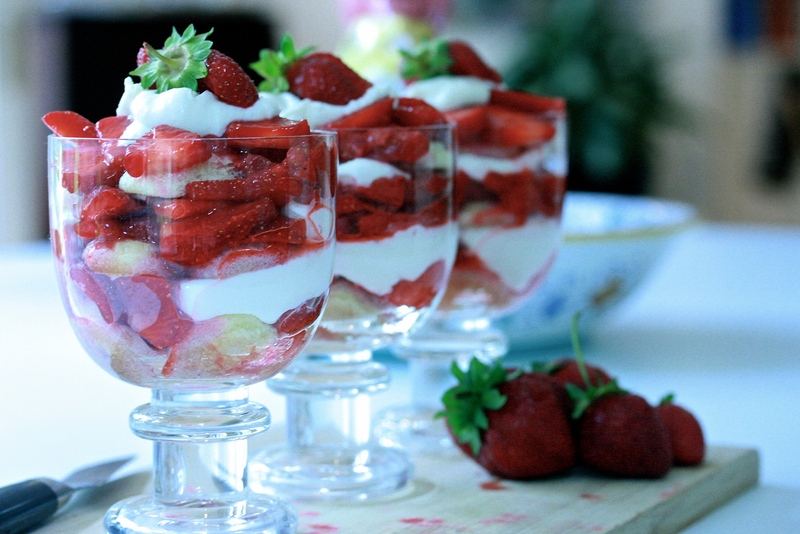 Place the trifles in the refrigerator so they chill completely. An hour or so would do just fine but the longer they sit, the more the flavors will meld together. They were delicious the next day. Enjoy! 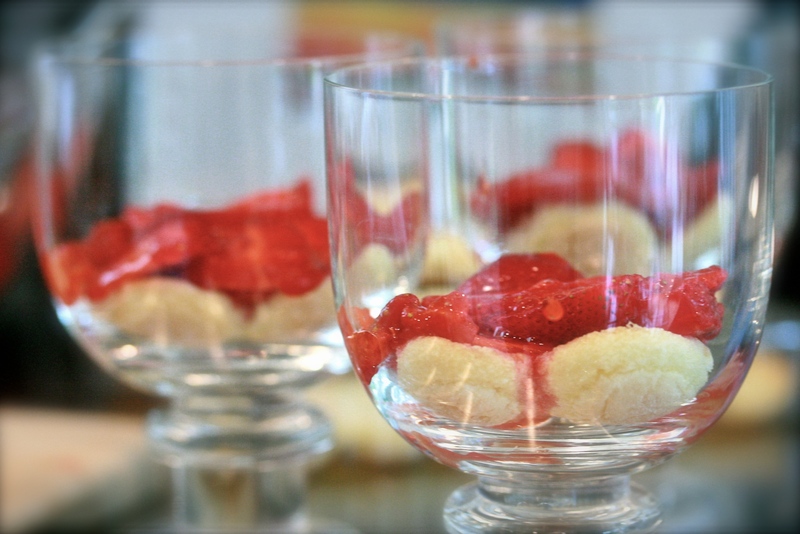 * The size dessert dish or in this case, glass you use will decide how many trifles the recipe will make. The glasses I used here are 8 ounces and I made three trifles. The portions are definitely too large but I wasn’t turning back, therefore the recipe would easily make 4 generous servings in a smaller glass. They would be really cute if you made them in those small glass dessert cups for a party. So pretty!